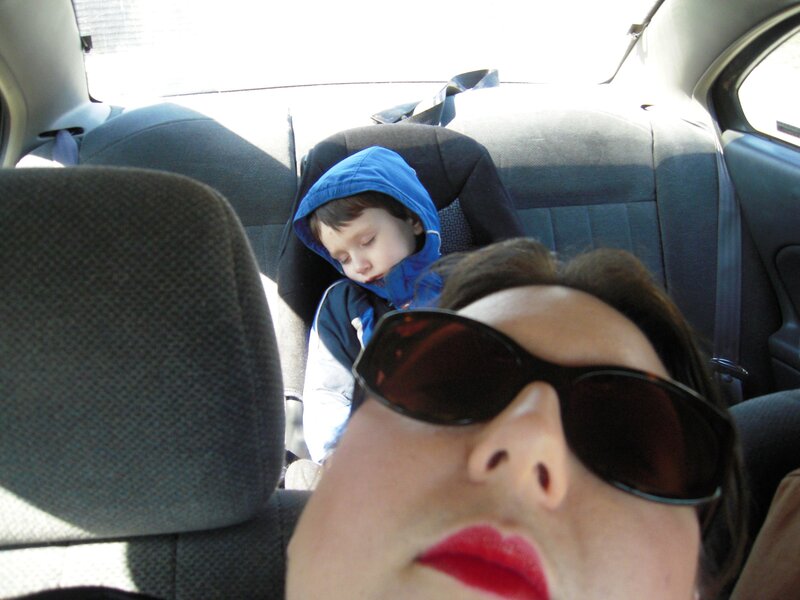 March 2011, driving to the UP, sporting a rocking red drugstore lipstick. It pretty much only looks this awesome when you put it on. Last month, in my educational newsletter to my fellow oilers, I talked about the importance of spring cleaning, and I related it to the chemicals on our face. Women are exposed to a range of 150 and 500 chemicals, daily. Most of which we do not know the direct effects. A risk averse person might suggest that the average women is a chemical concoction away from disaster. Societal norms, aside, maybe it’s time for women to take off their make up? Societal norms, considered, what does it say when we wear make up every day? Men don’t, in our modern age. If we are going to a play, a night out on the town, both genders are generally expected to dress up a little, comb their hair, brush their teeth – societal hygienic and grooming standards. But, aside from a blip into metrosexuality (isn’t it all beards now? ), only a woman is required to cover her face, in a painted on mask, to be considered put together. What I would like to link together, though, is this requirement that women put a mask on to look their best. It’s a direct implication that women do not look their best without new skin, new eyes, new cheeks, and new lips. Men can simply walk out of their house, and they are applauded for buttoning their shirts or not sagging in their pants. The expectation is different for women. What does that continue to say about our society? Yesterday was Equal Pay Day for Women. Yesterday marks the day that white women begin to earn as much as their male counterparts in the workforce. If you add other aspects, such as being black, or Hispanic, their day is not yet here. What does it say, about our society? It continues to reinforce the message that women cannot and will not be enough. It says that we don’t look the part, and we don’t deserve to play the part. Clarification, I don’t choose to believe this. I feel that if we succumb to this victim mentality we allow the oppressors to win. And, I will not allow the oppressors to win. Everyone deserves a fair shake at this game called Life. Everyone deserves to be treated fairly, no matter what their skin or gender, or choice of make up. Instead of being a victim, I will, however, kindly challenge these micro-oppressions. Women are not required to wear make up to look their best. Women are not required to wear a dress, or a pant suit, to be presentable. We, this generation and beyond, are shaking the old beliefs and creating our own, because the old beliefs, the old suit, it just doesn’t fit anymore. And, today, I’m saying that about make up. Not only is it generally quite toxic to our skin, it can mask who we really are. If we are to truly show up and change this world, we need to show up as we really are. So, please, take off your make up, and change the world.